Join the Savannah Scouts at the Fresno Chaffee Zoo’s new African Adventure exhibit! For only $2.00, you can purchase a field journal filled with 24 challenges. For $10 you can get the field journal and a Savannah Scout backpack filled with goodies for your future Junior Ranger. 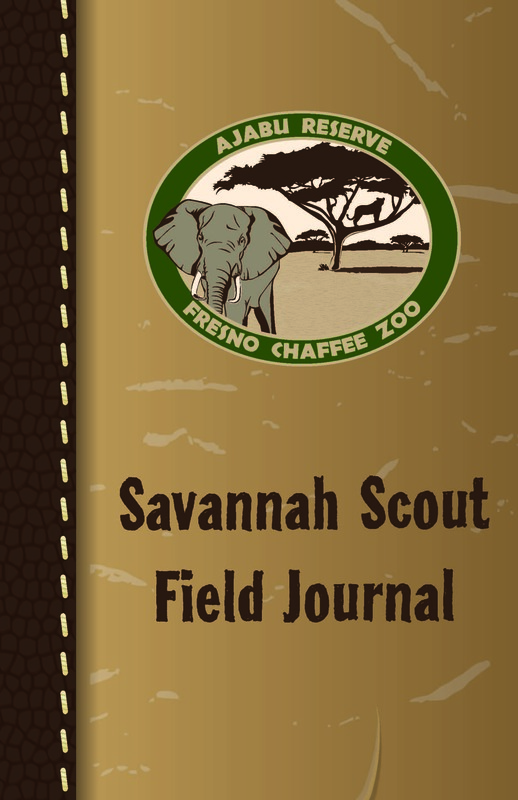 Savannah Scout Field Journals can be purchased at the Zoo’s admission booth, Giraffe feeding station, or the Education Center’s lobby. The challenges can be completed by exploring the African Adventure exhibit, observing the animals and interacting with zookeepers! Once a challenge is completed, look for a zookeeper to stamp that challenge! One you collect all 24 stamps, you will officially be a Junior Ranger!